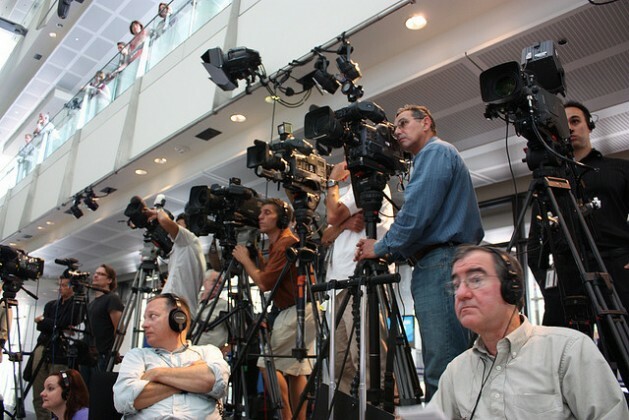 UNITED NATIONS, Jul 29 2015 (IPS) - Although the United States as a whole is becoming more ethnically diverse, newsrooms remain largely dominated by white, male reporters, according to a recent investigation by The Atlantic magazine. Another new census, by the American Society of News Editors (ASNE), found just 12.76 percent minority journalists at U.S. daily newspapers in 2014. This is particularly true for the share of minority employment at newspapers, which has been staggeringly low – between 11 and 14 percent for more than two decades, as illustrated in a graphic by the Pew Research Center and ASNE.